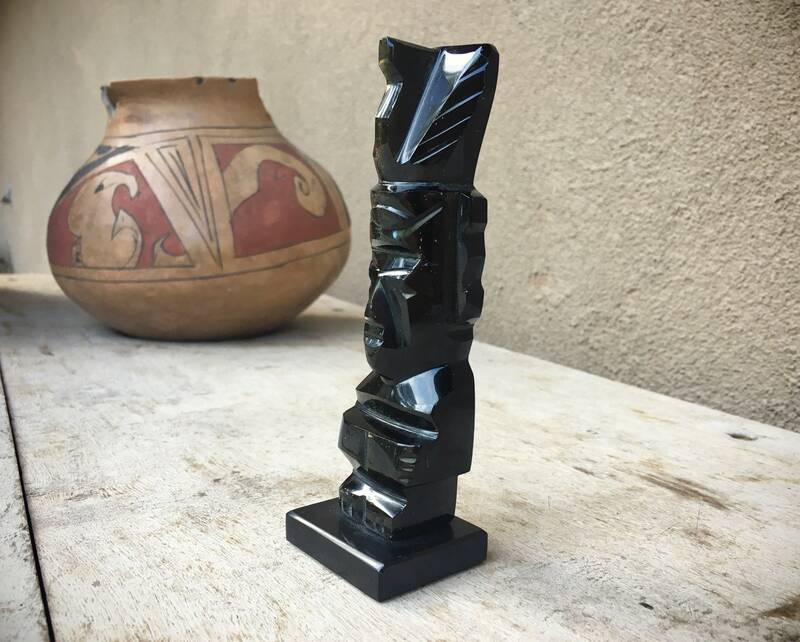 Here we have a wonderful pre-Colombian style figurine featuring an Aztec or Mayan warrior carved from golden sheen obsidian. The figure is a kneeling diety with headdress. There are several kneeling warriors and gods in pre-Colombian traditions, including the Wind God. 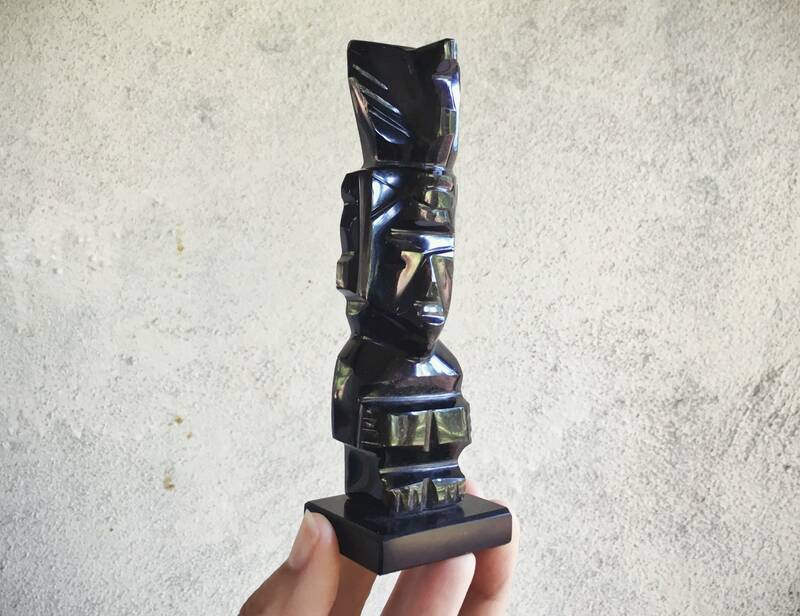 Thie piece would make a great addition as a desk accessory to give a person a reminder to be strong and fierce when facing challenge. 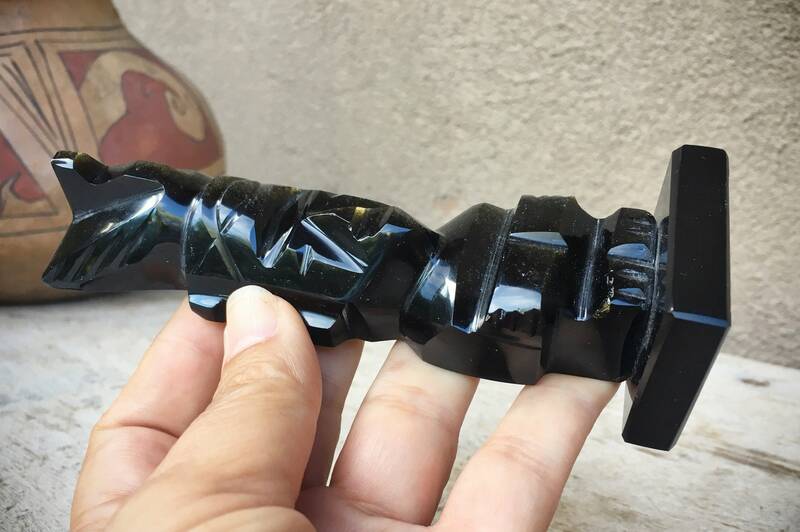 The black glass-like obsidian is beautiful with small specks--more like a Milky Way--of golden dust. 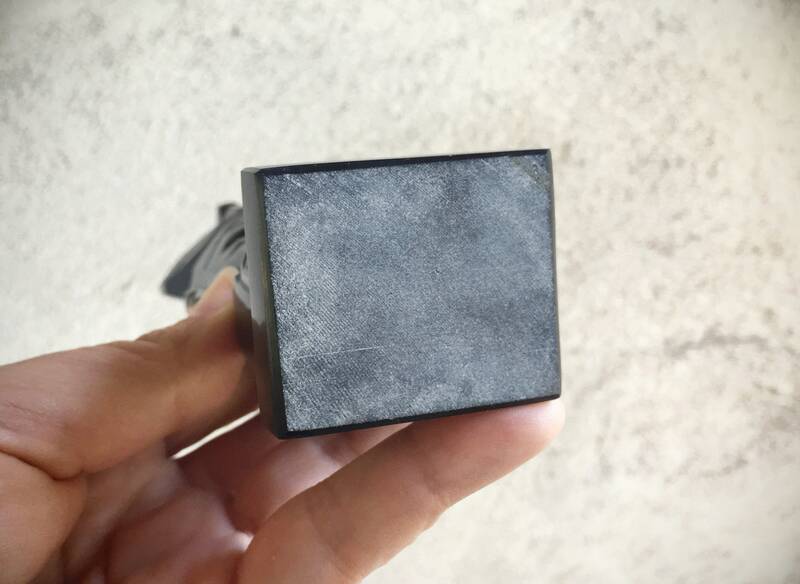 Almost like a worry stone but bigger. 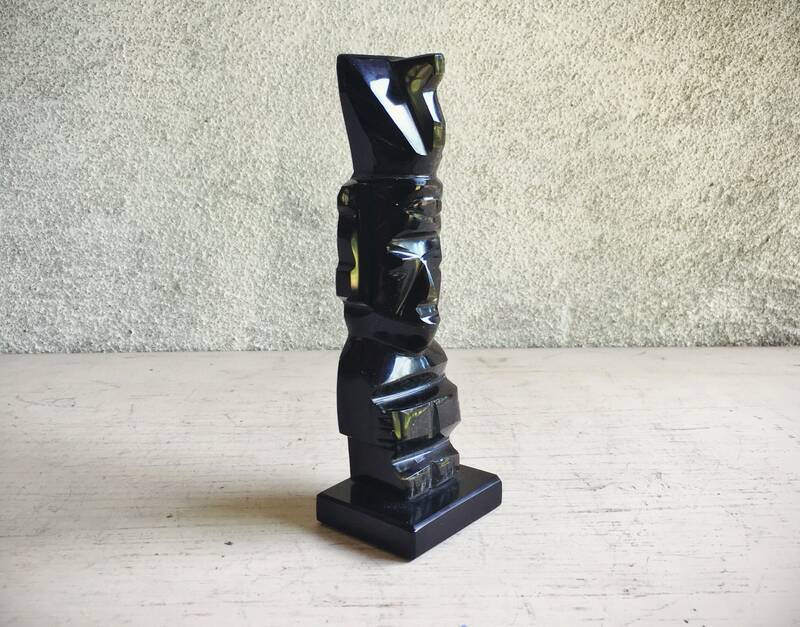 Antique carved obsidian figurines can go for hundreds of dollars. 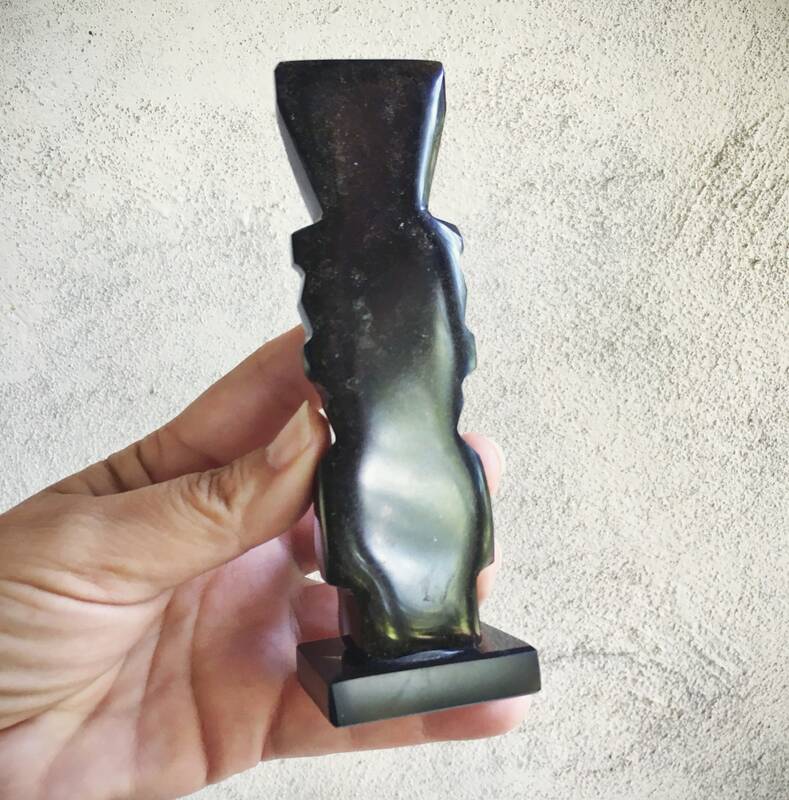 We believe this one is from the 1980s, possibly older given the wear on the material on the base that is meant to protect whatever surface on which the piece sits and to keep the piece from slipping. 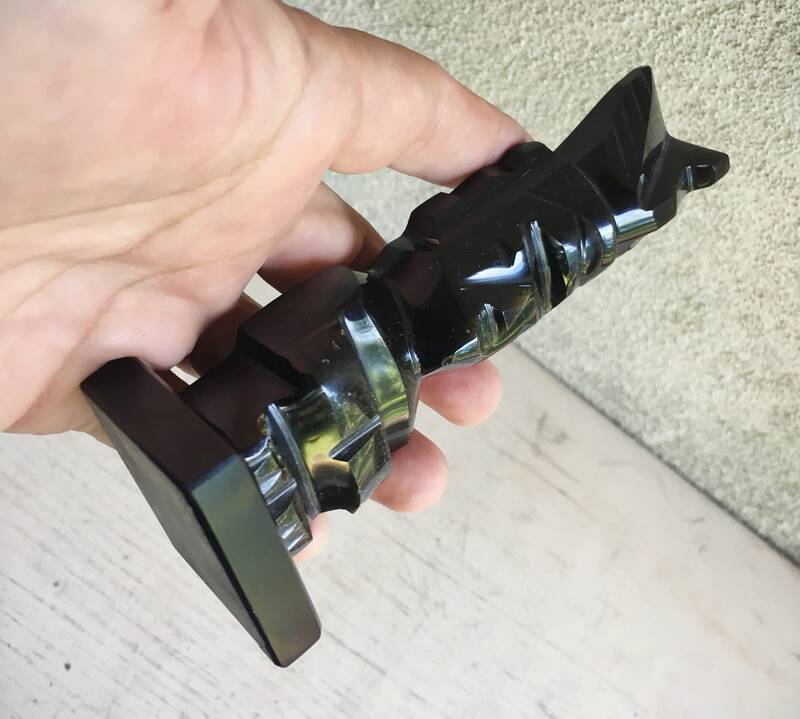 Measures about 5" tall and the base is just under 1-3/4" wide and 1-3/8" deep. There are spots especially along edges where the piece has been scuffed but is in good condition overall. 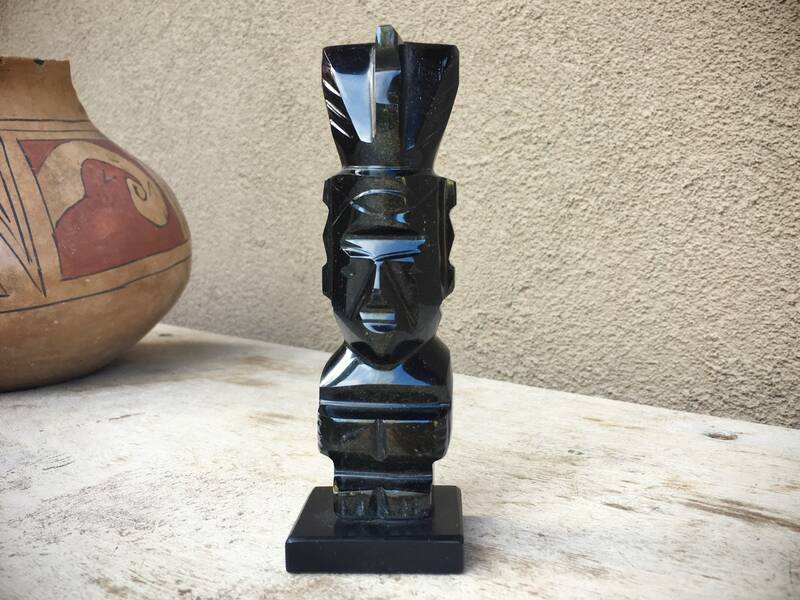 A great small piece for the warrior in your life.